With only a few weeks to Christmas, I thought the time was right for a book with a character named Snow. Not John Snow, but Simon Snow! He is the main character of Carry On by Rainbow Rowell, even though he actually never says these words. But his enemy/friend Baz does! Have fun. 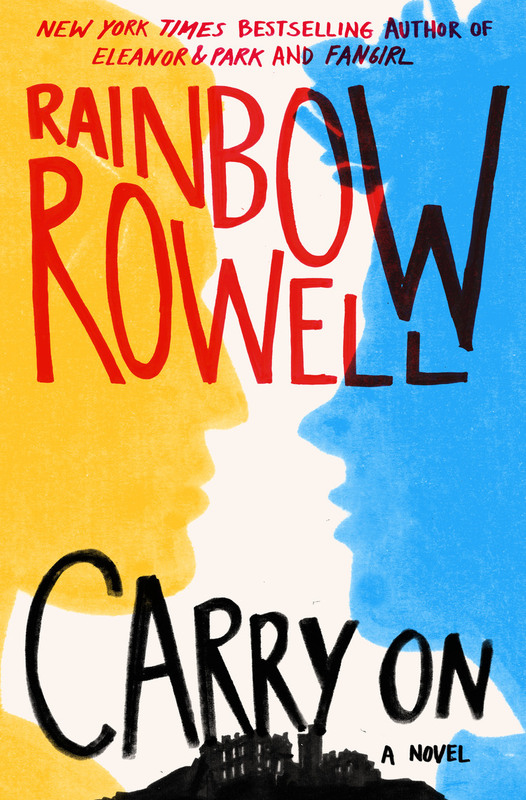 When I saw Carry On, a novel set in the universe of Cath’s – from Fangirl fanfiction, would come out as a real book by the author of Fangirl, Rainbow Rowell, I was super stoked. I loved Fangirl and like all the insert of the fanfiction for Simon Snow and Baz. This month I finally had some time to read it and liked it from page one. The characters are sometimes a bit shallow. You get to know them quite well, you think, and then they react completely different from what the author earlier described. Felt a bit weird to me. But they are funny and I have had enough of them. Which is too bad. When I read the pieces in Fangirl, I really felt like I would not mind reading 8 books about these people, but now after only one I am a bit like, nah! Story overall was well thought through. I did not see the end coming from very far, but I did see it happening before I actually read it. So maybe a bit too predictable? Too bad. But I had a great time reading it. This entry was posted in Book Review and tagged Book Review, Contemporary, Fantasy, Rainbow Rowell, Romance. Bookmark the permalink.